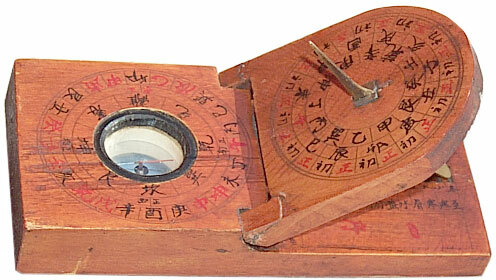 This is a Combination Chinese compass (Wiki - Luopan) and Sundial. This design is thousands of years old. Many of the markings are based on the I Ching. There are compass only versions of this called Bau Gua, Ba Gua, Bagua, Lo Pan, etc. used in the compass school of Feng Shui. Many of the concepts of the school of Feng Shui are aligned with the concepts in "The Pattern Language" by Christopher Alexander et. al. ISBN: 0195019199. See my comments on Feng Shui and the Pattern Language. 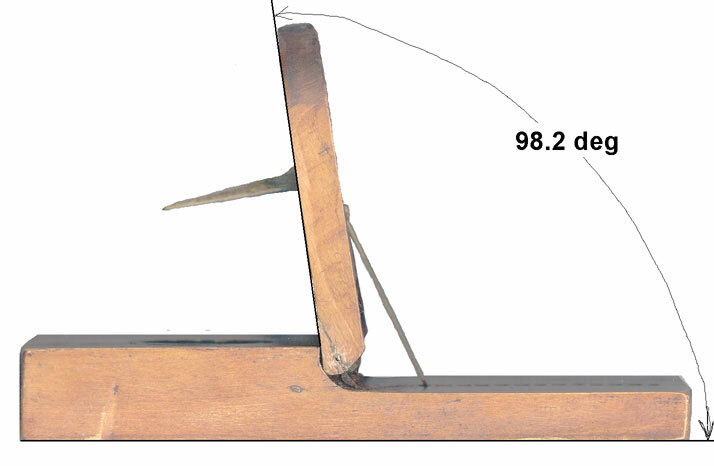 The wooden base contains a compass and an elevation scale with 13 notches for the sundial. The top sundial has a folding Gnomon on the top surface and on the bottom there is a hinged support that can be placed in one of the 13 elevation notches. The compass appears to have a ball joint at the base allowing the needle to tip, maybe not as much as the local magnetic field vertical angle, but enough that the compass works over a very wide range of Latitudes. The reason it does not need to have the full magnetic field vertical angle is that there is probably a weight under the ball that tries to keep the needle horizontal. When the sundial is at the lowest notch (#1position) the face of the dial is raised 34.8 degrees. and in the highest #13 position the angle is 98.2 degrees. 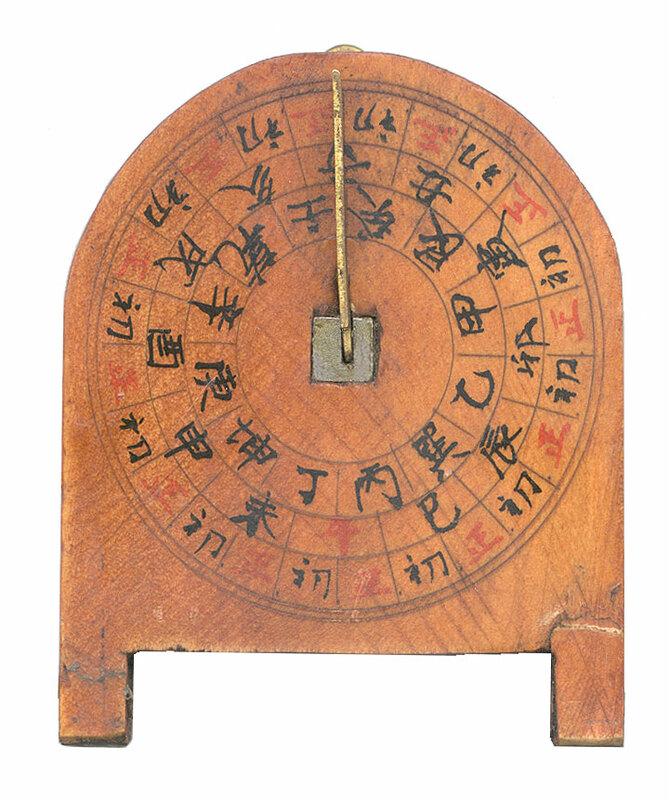 It appears mine is a replica of Song Dynasty (about 1000 - 1400 A.D.) Chinese portable sundial made of wood. page created 6 Feb 2003.